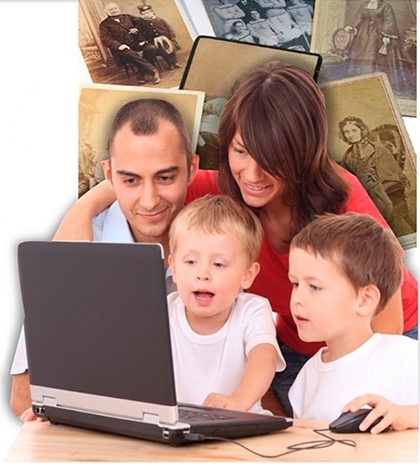 Now everyone in the family can enjoy the photos, maps, journals, correspondence, recordings, videos, stories and histories pertaining to their family. My Family Online has made accessing this valuable archive of family information easy for the entire family. We collect and organize your information in a way that helps to “tell the story” so that all the things you’re viewing for each individual are in context. All the precious photographs are associated with the stories, documents, maps and other related material for each individual. For example, when your family is looking at wedding of an ancestor, the wedding announcement, photos, written accounts and other data relating to the event is all there, even a map showing the location. Now that’s friendly!